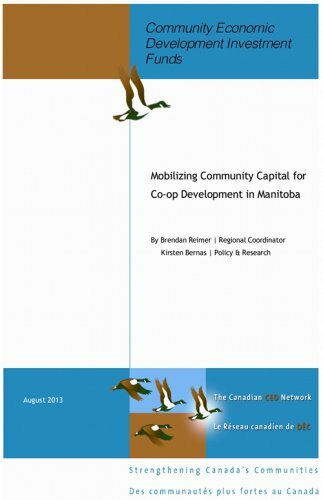 The lack of accessible financial tools are one of the largest barriers to co-op development and expansion in Manitoba. Fortunately, there are solutions. 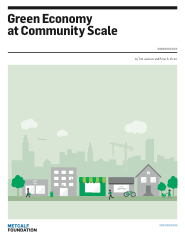 New CCEDNet research explores the potential to create a province-wide community development investment fund, expanding on the Province's existing CED Tax Credit, that could raise equity capital for new and existing Manitoba co-ops. The research also makes recommendations for enhancing the existing CED Tax Credit model. Read the full report by clicking the link below. In this age of growing concern for social and environmental conditions, youth are increasingly looking for purpose driven employment opportunities in the hopes of developing mission-related careers. Last week, CCEDNet hosted a webinar titled, Youth Employment in the Social Economy: How a New Generation Can Generate New Opportunities in CED. A recording of the webinar is now available. The session introduces examples of how youth can take charge of their own careers within the Social Economy, both by creating their own initiatives and by finding ways to integrate themselves into existing programs and projects. Halifax was in the global co-operative spotlight in September as the city hosted the International Co-operative Governance Symposium. The Symposium was a gathering of governance practitioners who discussed the challenges and opportunities for co-operative governance at a global scale. In advance of the Symposium, Pauline Green, President of the International Co-op Alliance, stated that "Good Governance is vital to the trust and confidence in which business is held in today's world...congratulations to Saint Mary's for this governance symposium which will highlight a key ingredient in helping us build this co-operative decade." Two co-operatives in Nova Scotia were recently named the winners of the National Co-op Challenge. Acadian Crafts and Cuisine (Chéticamp) and Valley's Best Co-operative Limited (Wolfville) each received $25,000 to support the growth and development of their businesses. 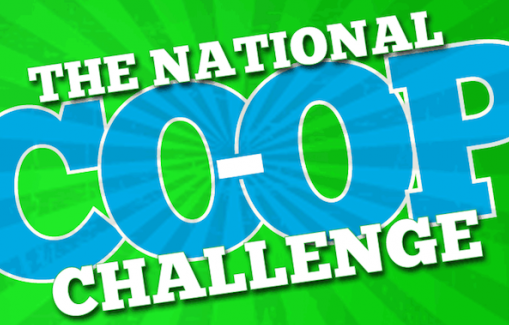 The competition, hosted by The Co-operators, invites co-ops from across the country to submit online videos. Thousands of Canadians then vote for their favourites. 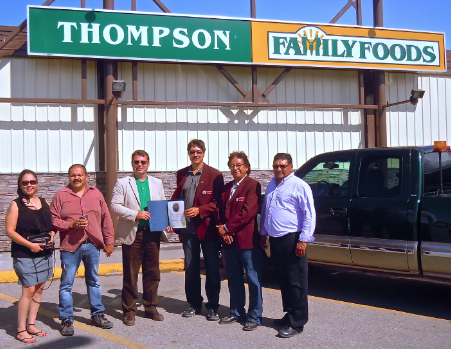 Six other co-ops across the country were also awarded. The Elizabeth Fry Society of Mainland Nova Scotia - See more at: http://www.socialenterprisecanada.ca/en/newsroom/service.prt?svcid=enp_newsroom1&iddoc=335709#sthash.xI4TZgbR.dpufThe Elizabeth Fry Society, has thrived in a full-length article (follow link below). the Elizabeth Fry Society has built partnerships and thrived in its community. 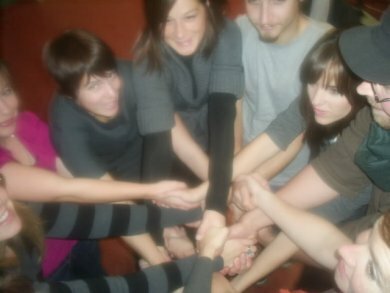 Feeling nostalgic for last year's International Year of Co-operatives? 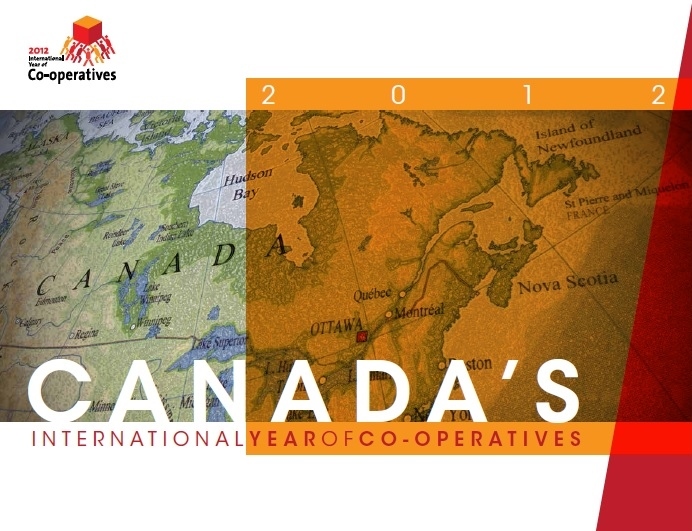 Relive the fun and excitement with the Canadian Co-operative Association's Final Report on IYC 2012 in Canada. The report includes photos and stories that evoke the creativity and celebration from coast, to coast, to coast. The report highlights the hundreds of events that reached thousands of people, dozens of new programs aimed at educating members and thousands of co-ops rallying around the IYC theme. 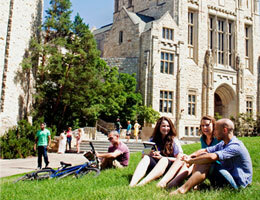 The Canadian Co-operative Association has compiled a list of Canadian university and colleges that offer post-secondary education opportunities on co-operatives. The list includes programs from coast to coast that cater to both students and co-operative professionals already active in the field. This is an ongoing project so if you know of any programs that should be added to the list, contact Erin Hancock. 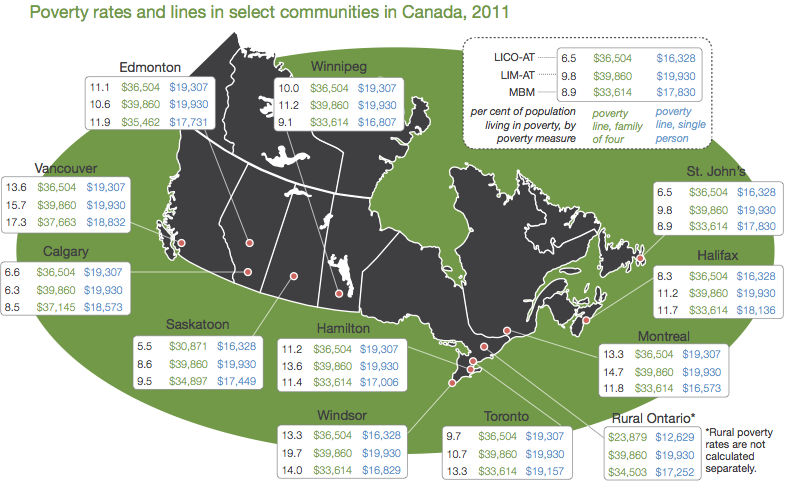 There is both good and bad news to be found in the Poverty Trends Highlights: Canada 2013 report. Poverty Trends Highlights finds that Canada's poverty rate is at a record low, although that depends which measure is used. Despite this dip, the poverty gap continues to widen, and the rates of poverty are still climbing for lone-parent families. The report, released by Citizens for Public Justice, concludes that we can effectively reduce poverty if governments make it a priority, but the evidence shows further action is needed. Here is a brief sampling of some of our most popular tweets from the past 30 days. 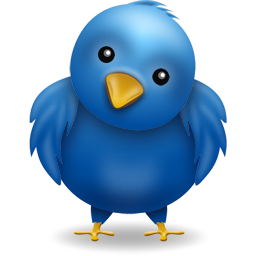 Click hereto follow us on Twitter. Imagine Canada National Summit: 2 Years Later, Where are we Now?